I was trying to take some shots of my new aerator and scents but our cute little doggie Satu won't leave them alone. Nacurious din sha! He kept on smelling the bottles and checking the aerator out. 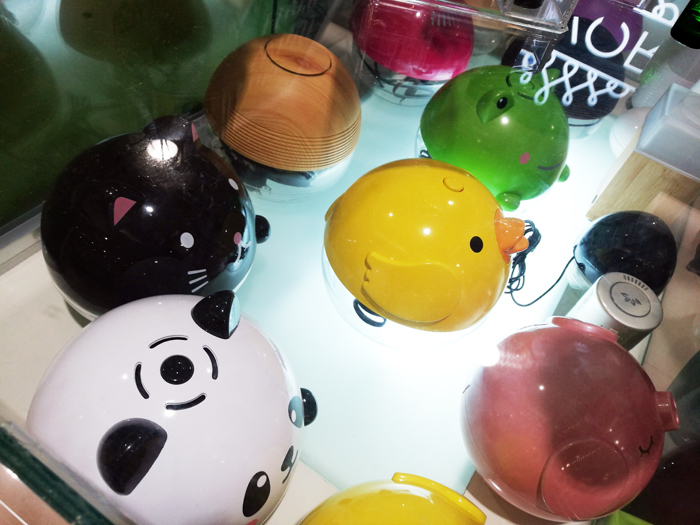 So cuteeee. He's got good taste like his Tita Pax! Haha. Satu, guardian of the aerator. Pang movie db. Haha. I was super excited to use it, so I tried it out as soon as I was done taking photos. I had 4 free scents (Cinammon, Apple, Citronella) in the box and Fresh Cut Grass was my fave! The device was super easy to operate. 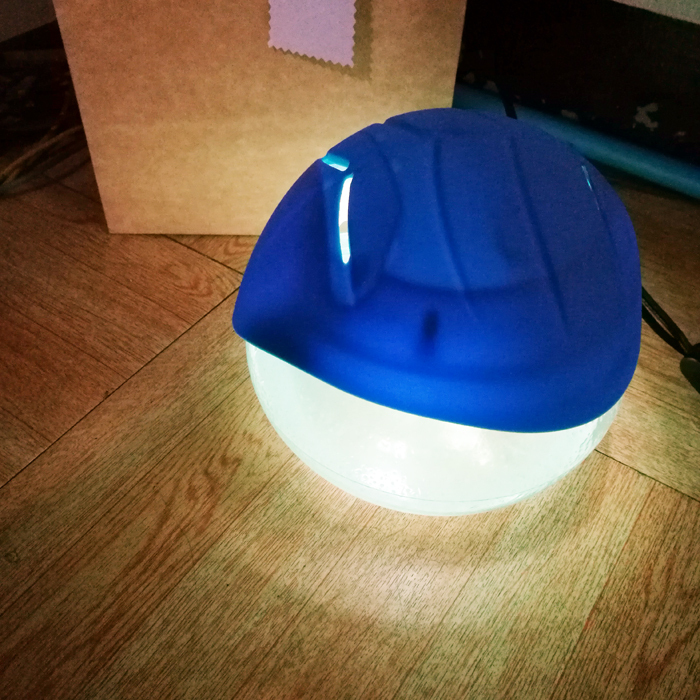 Just take off the lid, put water, put oil (10 drops at most for me), close properly and then turn it on. You will immediately see the water spinning and the lights changing colors. It took effect as soon as I turned it on. Mga less than a minute! I could already smell the scent I chose and it enveloped the whole apartment agad. Fresh Cut Grass smells like fresh laundry. It's so refreshing and calming. Had a hard time choosing which scents to take home! 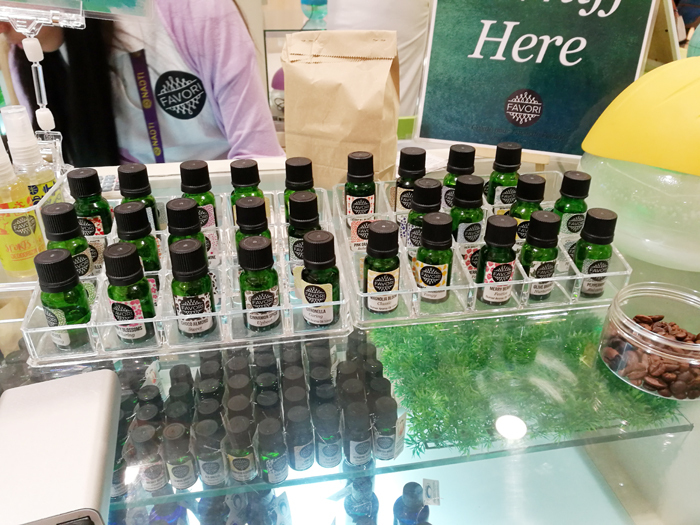 Aside from Aerator & Diffuser oil, they also offer Aroma Burner Oil, Deodorizing Sprays for everything, Reed Diffuser Set (with free sticks), Aroma Pouches , Humidifiers, Burners & Aerators! They also sell Soy Aroma Candles! The name FAVORI, which means “favorite" in the French language, was chosen to express Jac Tripon's (owner) desire to capture every individual's favorite scent in each variant she designs. 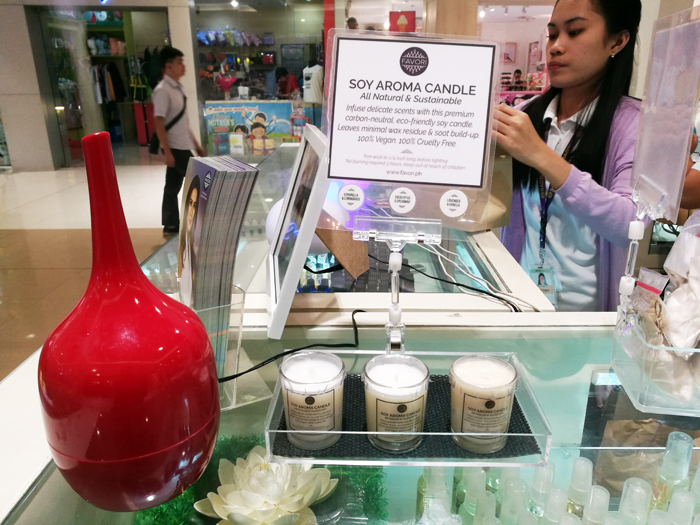 Understanding that scent preferences vary depending on a person's personality,mood, lifestyle, and specific needs, FAVORI boasts of a wide selection of products. Happy din si jowa! He's actually addicted to it na. Hihi. 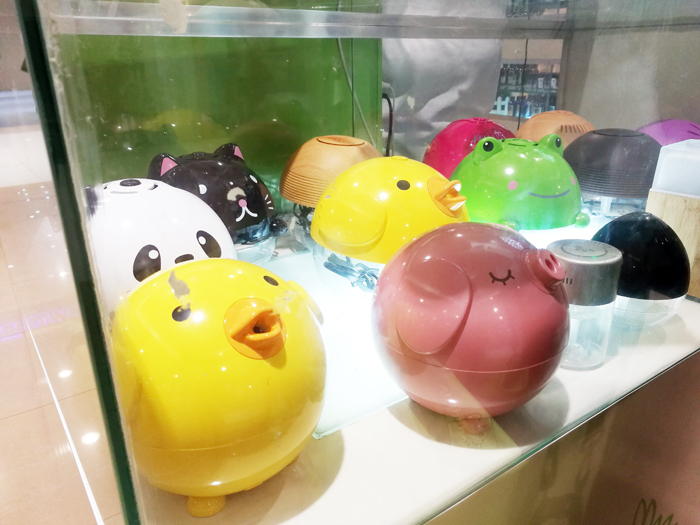 Cutest aerators ever! I will buy you Mr. Panda. FAVORI offers a scent for every nook of the house, office, or retail area that not only enhances the ambiance of any space, but also eliminates unwanted odors and refreshes the air with a cleansing anti-bacterial agent. 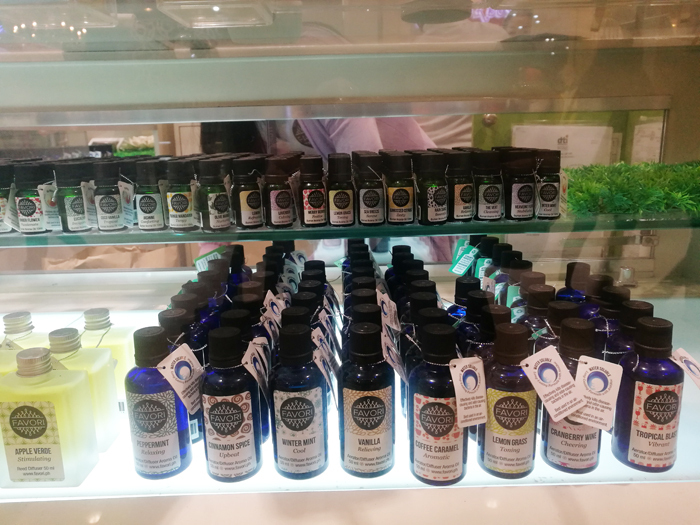 FAVORI’s scents range from sweet to stimulating, upbeat to relaxing, and zesty to fresh, among others—each one researched, tested, and carefully crafted to improve the well-being of its customers. My haul! Went for scents that are fresh, nature-y, soothing & invigorating. I am addicted to natural & spa-like scents kaya more mints, as you can see. As a brand that also considers the well-being of the environment, FAVORI advocates recycling by actively encouraging customers to return empty FAVORI bottles at their retail outlets in exchange for a discount on their next purchase. And who better to represent the brand than superwoman Ms. Angel Aquino! A household name and an icon of success to numerous women, many wonder how she stays grounded and balanced despite her hectic schedule. “Knowing how to relax and be at peace is a skill,” she says. And one of her best kept secrets is aromatherapy. 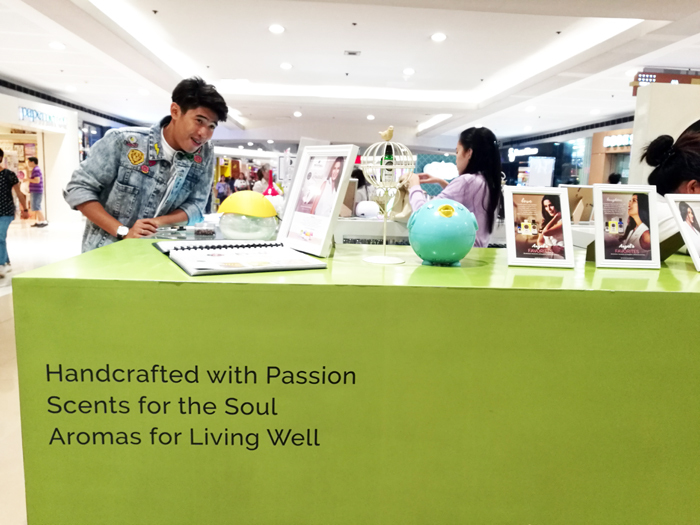 Her famously calm demeanor and relaxed attitude make her the perfect brand ambassador for FAVORI, a proudly Filipino-owned company that specializes in creating handcrafted aromas for living well. There's a reason why Classic Scents never go out of style. FAVORI’s CLASSIC Home Fragrances are available in Citronella, Eucalyptus, Lavender, Lemon, Lemon Grass, Peppermint, Jasmine and Vanilla. For a feeling freshness that lasts as long as you need it to, try FAVORI’s COOL Home Fragrances available in Fresh Cut Grass, Magnolia Bloom, Pink Grapefruit, Rain Dance, Sea Breeze, The Vert and Winter Mint. For a sweeter life, invite FAVORI’s SWEET Home Fragrances into your home. These scents are available in Apple Verde, Cherry Blossoms, Choco Almond, Cranberry Wine, Mango Mandarin, Merry Berry and Verveine Fleur. Let others feel the warmth of hospitality in your home with FAVORI’s WARM Home Fragrances. The scents are available in Cinnamon Spice, Coffee Caramel, Coco Vanilla, Ginger Flower, Olive Branch, Sunkissed Citrus, and Tropical Blast. 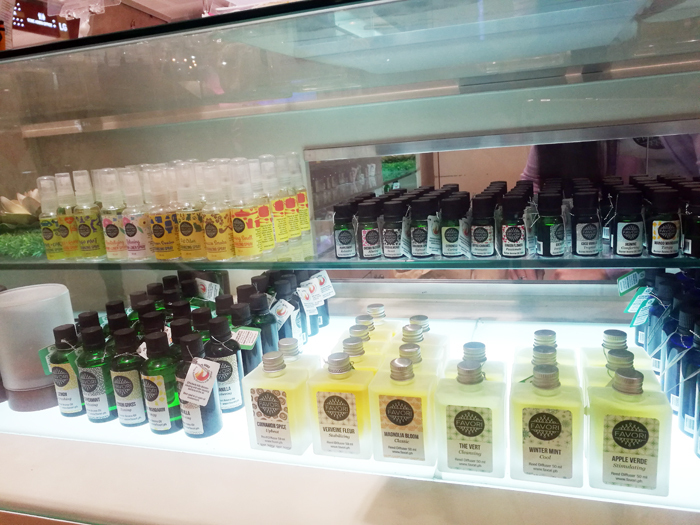 *FAVORI scents are available at Robinson’s Place Manila, SM Megamall, SM City Marikina, SM Southmall and Market! Market!